The following is a transcript of a presentation entitled Buying a home in China that was delivered at the Foreign Correspondent’s Club in Hong Kong on April 24, 2013. Video of the presentation is available here. Today, I’m going to talk about the process of buying a home in China. My presentation will be a little unusual. I’m not in the real estate business, so I promise I won’t try to sell you anything. But I will tell you about the opportunities and the risks of buying a home in China and some of the quirks that make China different. I became a property owner in 2002, when I bought a floor in a Hong Kong office building. Since then, I’ve bought, sold and rented commercial, residential and industrial property in Hong Kong and Tokyo. I’ve also done some fairly interesting renovations. I bought these properties as an outsider, with a lot of questions and even more skepticism. My books are written from that perspective. So is the presentation that follows. Let’s start with the most fundamental question. Can you buy a property in China? Despite the recent tightening measures, foreigners can still buy a home in China. But you need to have lived in China legally for one year before you can buy. Under Circular 171, which was promulgated in 2006, foreigners can only own one property in China for their own use. You cannot rent your home out. People from Hong Kong, Macau and Taiwan and are not considered to be foreigners under this regulation. Aside from properties near some government offices, there are no restrictions on the type of home foreigners can buy. That includes villas on golf courses. Under Circular 186, which was issued in 2010, foreign companies may own a property in China. The property can only be used by the company, and not rented out. It is possible to use a company to buy, rent and sell real estate in China, but the company must be formed for that specific purpose. For most people, the time, cost and effort involved mean that going the corporate route is impractical. Circular 171 and 186 are national regulations. There are also city-based rules. For example, in Shanghai, you must produce tax receipts showing that you have lived in the city for 12 of the previous 24 months, and unmarried nonlocals are prohibited from buying a home. In Beijing you must have paid local taxes and social security for five consecutive years. Local buyers also face market-cooling regulations. For example, there are limits on the number of properties that they can own; a 60% down payment is required to buy a second home, and interest rates on mortgages for second homes are more expensive than for first homes. Beijing, recently announced that single local people can only own one home. There are a million scams—including fake weddings and fake divorces—designed to evade these regulations. Marriage plays a central role because home ownership regulations are based on the household unit—not the individual—and marriage can be a way for a nonlocal person to get a residency permit, or hukou. Regulations change frequently and are now in a tightening phase. But it wasn’t always this way. In the 1990s, for example, Shanghai would give you a hukou if you bought a home in what was then a very depressed market. Now let’s look at land policy in China. With a few exceptions, all urban land in China is owned by the state and all rural land is own by collectives. Individuals and companies cannot own land in China. When you buy home in China, you are buying the building—or a share in the building—and the right to use the land under the structure. Land for residential use is leased from the state for a period of 70 years. The first land lease was signed in Shenzhen in 1987, and no land leases have expired yet. The central government has guaranteed that residential land leases will be renewed when they expire. But the government has not explained how the renewal process will work, how long the new lease terms will be, or the fee that will be charged for renewing the lease. Land for industrial use is leased for 50 years. Land for commercial use is leased for 40 years. Unlike residential land, commercial and industrial land is not covered by the automatic lease renewal that I mentioned a minute ago. Improvements—like buildings that are erected on commercial or industrial land—revert to the state at the end of the land lease. That’s important because individual hotel rooms and SOHO offices may seem to be residential, but are considered to be commercial. In China, land is developed in two ways. The first is expropriation, which is also called eminent domain, compulsory purchase or resumption. Under expropriation, the state takes a home, compensates the homeowner, clears the land, and leases the land to a developer. Sometimes, homeowners are happy with this arrangement, because they are resettled in new apartments with modern conveniences like indoor plumbing. But some people protest or refuse to leave their homes. Old, low-density homes near the city center are often expropriated and replaced with profitable, high-density apartment buildings. That is one reason why many Chinese buyers prefer new homes. The second method occurs when a collective converts farmland to urban use. When this happens, farmers sell their land use rights to the collective, which sells those rights to a developer. Individual farmers can’t sell their land to developers. Farmers receive a fraction of what the developer pays, which can lead to social unrest. Usually, this process works well. But not always. For example, there are 79 residential complexes in the suburbs of Beijing that are built on rural land. Homes in these complexes sell at a discount because they have limited property rights. The conversion from rural to urban land has created a uniquely Chinese development called an urban village. As cities grew, they absorbed neighboring villages, which were classified as rural land. The villages and had two parts, farmland and houses other buildings. The cities bought the farmland and converted it to urban land. But in many cases they didn’t buy the buildings. Those buildings—and the land under them—became urban villages: little oases of rural land, owned by collectives and governed by rural regulations. Urban villages are especially common in southern China. In 2005, there were more than 300 in Shenzhen. Guangzhou has over 130, including Shipai, which is shown here. The residents of urban villages make a tidy living renting cheap rooms to migrant workers. In some villages, the ratio of migrants to locals is 30-to-1. You don’t want to live near an urban village, because they are firetraps, and hotbeds of crime, ranging from prostitution to drug dealing and burglary. The security camera and steel window grills in this picture are not unusual. Urban villages are often in the center of the city. Shipai is a short walk from one of Guangzhou’s most expensive shopping malls. Now let’s look at China’s housing stock, which can be divided into three categories. The first group is homes that were built before the revolution in 1949. In Beijing, this includes siheyuan, or courtyard homes. In Guangzhou, you have qilou shop houses, which are notable for their covered shopping arcades. Guangzhou also has xiguan houses and western villas, like this one on Shamian Island. Shanghai has lilong town houses and some of the world’s best art deco buildings, like the Broadway Mansions Hotel near the Bund. Shenzhen’s population grew from 30 thousand in 1979 to about 13 million in 2012. As a result Shenzhen has no homes from this era. Pre-1949 homes can be spectacular. But buying them is not for the faint of heart. Their ownership structure can be complex, because properties were often subdivided to accommodate multiple families. It can be hard to find and negotiate an agreement with everyone who has an interest in the property. Renovations can be expensive, as much as 70,000 yuan per square meter. Deferred maintenance means there can be structural problems. Many siheyuan, for example, don’t have plumbing. Old homes, like these lilong in Shanghai, tend to be near the city center, which makes them expensive and prone to expropriation. The second category is homes built between 1949 and the end of the century. Unfortunately, most of these homes are simply not worth considering. After the revolution, the government’s main concern was to house people quickly and inexpensively. Comfort and style were low priorities, and homes tended to be small, ugly and poorly built. In addition, it is difficult to get a mortgage for homes that are more than 15 years old. The final group is homes erected after 2000. The amenities, designs and construction can be superb, especially in projects by top-tier builders. However, quality can still be an issue. 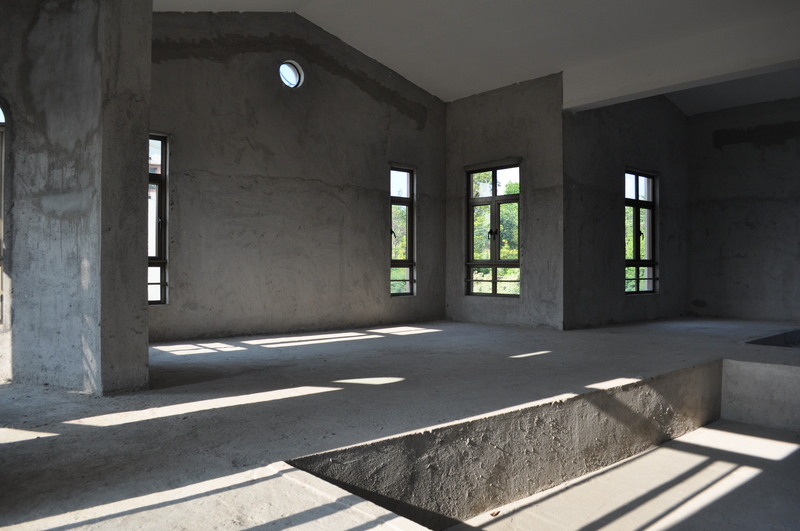 In March 2013, builders in Shenzhen were discovered using cement made from untreated sea sand. The salt in sea sand can corrode steel reinforcing bars, weakening a building’s structure. New homes and other developments are sometimes built in old industrial zones on what are called brownfield sites, many of which have excellent, city center locations. For example, Shanghai’s M50 art district was once a collection of warehouses and factories. And the Expo 2010 Shanghai site was formerly the home of a shipyard, a power plant and a steel company. Brownfield sites are often contaminated with petrochemicals, heavy metals and persistent organic pollutants. This has caused problems throughout the country. For example, the 2,400-unit Yangtze Pearl apartment complex in Wuhan was built on a contaminated site where a pharmaceutical plant had operated. This doesn’t affect every new development, but it is worth keeping in mind. Now let’s look at the process of buying a home. Start with online research, to learn what homes are available and their prices. The more you know about what you want, what you can afford, market conditions and how the market operates, the more successful you will be. When you have identified a potential home, investigate the neighborhood and things like road noise. And look into the building and developer. You wouldn’t want buy a home near a graveyard, one that was the site of a murder or suicide, or in a development like Lotus Riverside in Shanghai, where one tower literally fell over in 2009. I’m a big believer in scouting neighborhoods on foot, because it’s a great way to discover opportunities, problems, and the location of the nearest card game. When you’ve found an area you like, visit at different times of the day and on weekends, to ensure you get a full picture of your new neighborhood. You might even try commuting to your office, to see if that works. China’s infrastructure is developing rapidly, so check for projects like new train lines that can change the neighborhood’s character. You may not be able to do anything about these things, but you should factor them into your buying decision. If possible, find an agent who knows the neighborhood and who’s used to working with expats. That will make communications easier and increase the likelihood that you’ll find a place the suits you. If you buy a home, the sale and purchase agreement will almost certainly be in Chinese. Courts will enforce a contract that is not in Chinese, but most local vendors won’t sign a non-Chinese contract. And Chinese contracts take precedence over foreign-language ones, unless the Chinese contract explicitly states that the foreign-language version takes precedence. Expect to pay at least 30% of the purchase price as a down payment. There is no escrow in China, and it’s not unusual for the buyer to pay cash to the vendor or the real estate agent. And while some cities have computerized land registry systems, a national registry doesn’t yet exist. One is planned as a precursor for a national property tax that is expected to be in place by June 2014. You will also pay a real estate agent’s commission of between 0.5% and 3%. The actual rate depends on the value of the home, its location and your negotiating skills. If you are not a Chinese national, you will need to have your signature notarized, which costs 0.25% of the property’s price. It is not unusual for the vendor to make the buyer pay the commissions and taxes, or to hide them in the asking price. In Shanghai and Chongqing, you will pay an annual property tax. There are a range of other taxes and surcharges, but these are relatively minor. When you sell your home, you will pay a 5% tax on the appreciation of the property. This is waived if you have held the property for 5 years or more. In March 2013, the central government announced that it will begin enforcing an existing 20% tax on capital gains from the sale of second homes. If the purchase price of the home is not known, you can pay a 1% tax on the total sale proceeds instead of the 20% capital gains tax. If you buy a new home from a developer, you don’t have to pay commission to a real estate agent. That’s one of the attractions of buying a new home. Another is that the developer should have resolved any outstanding title issues. You will have the full 70-year land lease and new homes generally have fewer problems with building quality. Your new home will probably be handed-over as a bare shell. Some developers offer decoration services, but this is not universal. Many buyers like bare shells because they are cheaper to buy, deteriorate less if the home is being held as an investment, and easier to sell. But as you can see from this bathroom, a bare shell is very bare indeed. Finding a contractor who can meet your schedule budget and quality expectations—and managing the decoration process—is a challenge in any market. China is no exception. Whether you buy new or used, mortgages are available from local, Hong Kong and international lenders. China’s mortgage market is heavily regulated, and yuan-denominated loans are effectively commodity items, with lending rates set by the People’s Bank of China. International and Hong Kong banks have an edge in terms of service and ability to offer foreign currency loans, which can be attractive if you believe the yuan will continue to appreciate. Developers don’t offer financing, but usually have relationships with banks, which can speed up the application process. While mortgages are available, a surprising number of homes are purchased with bricks of 100 yuan notes. Research by CLSA shows that in 2011, one-third of all buyers paid cash for their homes, up from 24% in 2007. For investment properties like this apartment, 53% paid cash in 2011. Which brings me to the final part of my presentation, and a critical question: Is there a bubble? Prime real estate in China’s Tier 1 cities—Beijing, Guangzhou, Shanghai and Shenzhen—is undoubtedly expensive. And despite the central government’s market-cooling measures, prices continue to rise. In March 2013, prices in 100 major cities increased 3.9%, year-on-year. Homes are now equal to, and in some cases more expensive than those in New York, London and Hong Kong. Prices have risen with China’s growing wealth. They are also driven by a lack of alternatives. Low interest rates, lack of access to international markets and other factors make cash, stocks and bonds unattractive to domestic investors. Real estate often wins by default, even if properties are left unoccupied and decaying. While prices are high, I don’t think we are going to see a subprime-style crash. That’s because loan-to-valuation ratios remain low and there is strong demand from upgraders: According to the Brookings Institution, nearly one-third of China’s 225 million urban homes do not have a private bathroom or kitchen. And the State Council predicts that by 2030 nearly two-thirds of the population will live in cities—300 million more than in 2012. Furthermore, China’s new leadership is committed to “socialism with Chinese characteristics,” making it unlikely that we will see a return to the days when housing was provided by the danwei, or work unit. If you’re living in China, buying a home can make sense. But only if you will be in China for the medium- to long-term; your personal and financial situations are stable; and you know the risks. I wouldn’t expect the dramatic price gains that we’ve seen over the past decade. But I would prepare for volatility, whether that’s from policy and regulatory changes; a global recession or geopolitical event, or a black swan. And now, I will answer your questions. Video of Buying a home in China is available here.